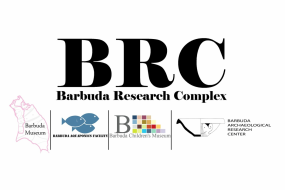 The Barbuda Research Complex board actively seeks Artists from around the world to visit the island and work with local people of all ages to create meaningful art and workshops for the museum spaces. The Barbuda Museum Residency program invites international artists working with ideas pertaining to diaspora, cultural identity, Caribbean history and environmental issues such as climate change to submit proposals to come work in Barbuda for one, two and three month periods. 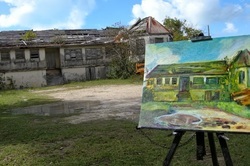 The residency provides accommodation and workspace at the Barbuda Archaeological Research Center, which is located in Barbuda's capital, Cordington Village. For those selected, the residency will culminate with an exhibition at the Barbuda Museum, including a small exhibition catalogue created for the museum archives. The length of the residency depends on the proposed project, running anywhere from one to three months. If the proposal is accepted the artist is responsible for bringing all materials necessary for the production of the project. The artist is also expected to provide at least two workshops a month at the Barbuda Museum about the artist's materials and process as well as one lecture about the ideas that fuel his/her work. The artist is responsible for travel expenses and daily living expenses. The Barbuda Museum and BRC are willing to provide letters of support for artists applying for grant funding. International artists can submit a 500 word proposal to the Barbuda Museum Residency program to work on a project that will be shown in the Barbuda Museum. The residency provides accommodation and workspace at the Barbuda Research Center which is situated in Barbuda's capital, Cordington.